The Inversion Principle Tourbillon is a three minute central tourbillon with jumping hours and retrograde minutes, developed by Jaeger-LeCoultre alumnus David Candaux. 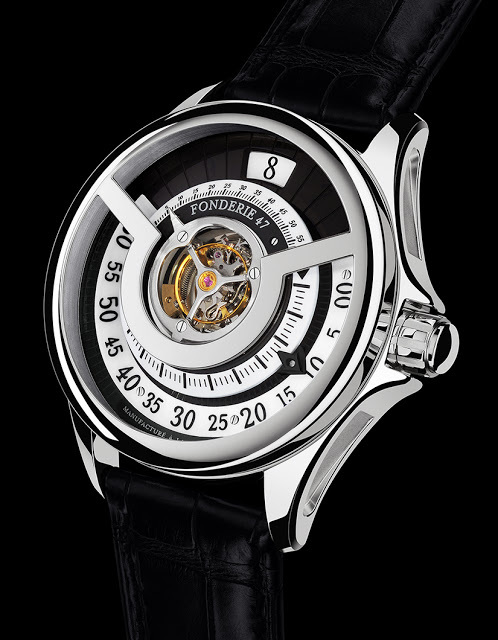 Part of the proceeds from the sale of each watch will go to Fonderie 47, a charity dedicated to reducing the number of assault rifles in Africa. 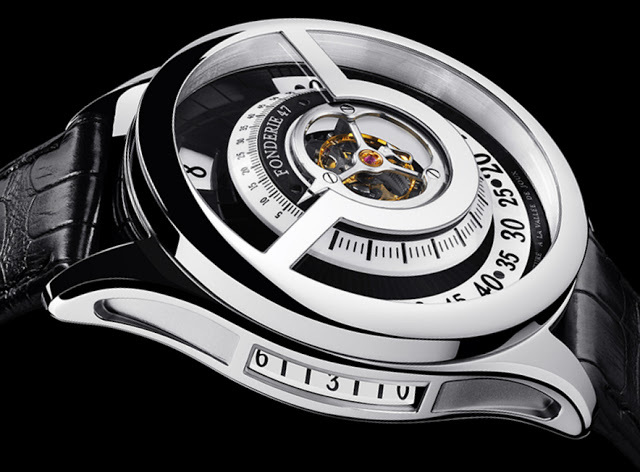 The watch was designed by Adrian Glessing of Virtualideas while the movement was conceived by constructor David Candaux of Du Val Des Bois. 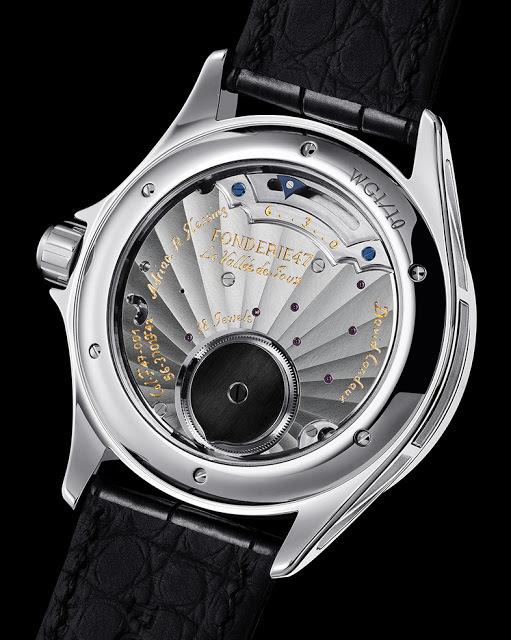 Candaux was formerly with JLC, where the projects he worked on included the Master Minuter Repeater and Spherotourbillon. 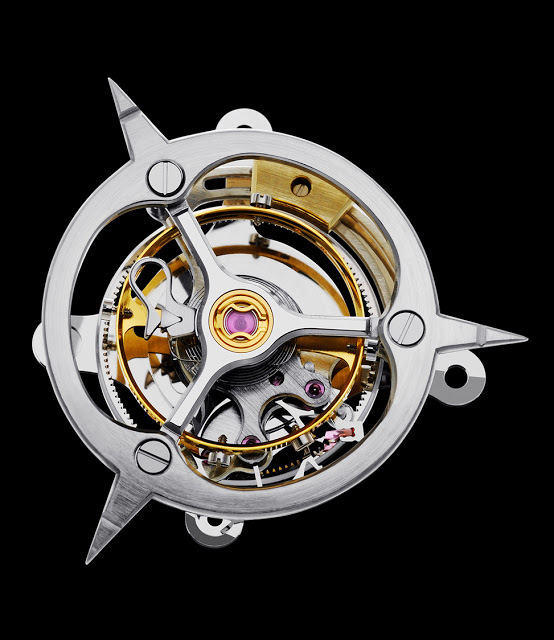 Making one revolution every three minutes, the Inversion Principle tourbillon cage has three seconds hands, two of which are always hidden under the gun-sight frame on the sapphire crystal. The visible seconds hand travels on a scale from one to 60 on the top third of the dial. 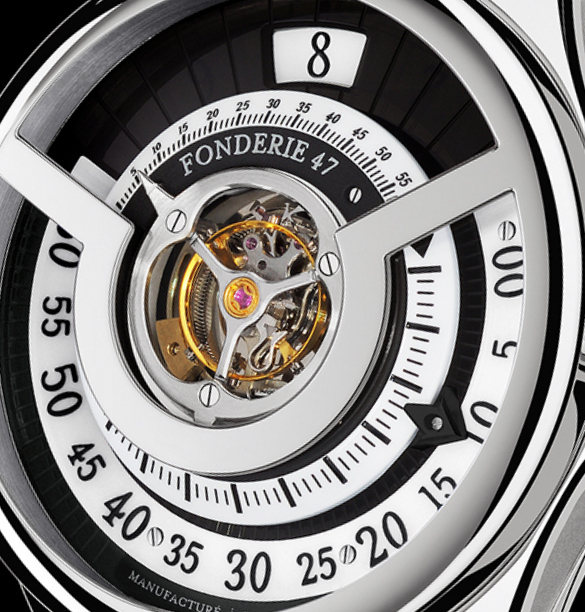 On the lower portion of the dial is the retrograde minutes, which travels through 240° before jumping back to zero. And at 12 o’clock is the jumping hour, which can be advanced in one hour increments by the pusher in the crown (and the crown can also be used to set the time conventionally). There are twin power reserve displays for the six day power reserve – one on the side of the case, and the other on the top of the movement visible through the display back. On the back is a plate covering the ratchet wheel, made from steel of a destroyed AK-47. This watch will help fund the destruction of 1000 AK-47 rifles.